The one-semester Music Together® Babies Class was created especially for families with infants under nine months old. That’s right: It’s never too early to start our music classes! “This place is AWESOME! I would give 100 STARS if I could! My baby is in heaven when she comes here, she is so happy and it's beautiful to watch!” —Johnathan R.
Music Together Babies Classes meet for 45 minutes once a week. 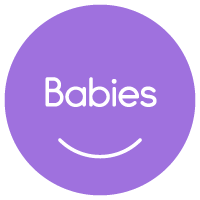 Join us for class with your baby and set her on a path to a lifetime of music enjoyment---and start building friendships with other new parents in your neighborhood. If we have added any classes to the semester to give families more chances to get their make-up classes done, they will be listed here. New families may also sign-up for these classes as a demo.